Sustainability is a slippery chameleon which defies capture and changes colors to match its environment. The refugee may ask if it could have brought peace to their homelands. The low income earner shopping in a dollar store in north America may well ask if it’s on sale. The farmer in Southeast Asia may ask if it means their children will not suffer the poverty as they have. These characters are consumers who must be included in defining sustainability because they form the bulk of consumers globally and have the greatest impact on what happens to the limited natural resources available. With global natural resources being stretched presently, it is obvious that the current focus on sustainability must remove itself from catering to select niche markets and start looking at it as a global issue. The continued limitation of sustainability to select markets even in developed countries will only lead to the exhaustion of natural resources in a shorter period of time. We have to accept that those who can afford the non-profits definition of sustainable products form too small of a global consumer base to have meaningful impact. Even so, continued criticisms of existing sustainability standards are always long on words but seldom support actionable measures because they cater to this select market. This recent report by the Changing Markets Foundation is a prime example of limiting sustainability to the rich few. It takes aim at three main consumer product industries in fisheries, clothing and palm oil. Certified palm oil a false promise? The report takes square aim at the Roundtable on Sustainable Palm Oil (RSPO) and calls for the RSPO to focus on quality rather than quantity. If this suggestion was taken seriously, it would further reduce the influence of the RSPO to “save forests.” NDPE policies may well work to assuage the conscience of a handful of better off consumers but the NDPE policies are by no means an effective way to save forests nor is it sustainable in a global sense. 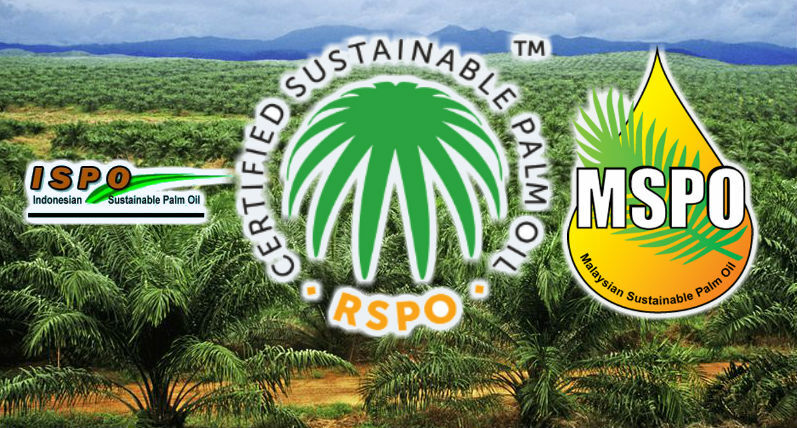 The RSPO must continue to reach out to every entity that shows an interest in making palm oil production sustainable. The report also takes aim at other certification schemes including the Indonesian Sustainable Palm Oil (ISPO) and Malaysian Sustainable Palm Oil (MSPO) schemes and actually says in its conclusion that these “watered down” certification schemes should be removed. This shows a lack of understanding by the report on what sustainability means, unless of course, if they are referring strictly to consumers in developed nations but that is regional sustainability, not global. Simplistic statements like the quote shown below further shows a lack of understanding about how things are working in the real world. Firstly, palm oil biodiesel has been shown to reduce GHG emissions by up to 83% compared to fossil fuels. Secondly, not all palm oil is grown at the expense of rainforests and peatlands. Malaysia produces enough palm oil from converted agricultural lands to supply the EU’s biofuel needs without risking food security or adding to global emissions. Thirdly, the need for poverty eradication in Indonesia is an issue that needs to be addressed before any suggestions of saving forests for the global good is considered. In a recent rebuff to the calls of Greenpeace and World Resources Institute to extend the Indonesian moratorium to secondary forests, the Indonesian Minister of Environment and Forestry, Mdm Siti Nurbaya Bakar was very straightforward in saying that it could undermine the country’s economic development plans. What the ISPO and MSPO should continue to do is to stick to the UN’s Sustainable Development Goals in executing their national plans for sustainable palm oil. Critics of these two certification schemes should have a clear understanding of the needs of society in these two countries before condemning their efforts towards introducing sustainability measures to their palm oil industries. Whether its palm oil or coconuts or rice, the hard fact is that agriculture is needed as a first step towards development. While these regional standards may be acceptable to the governments of importing countries who understand the need for economic growth and social stability, the standards may be deemed insufficient for corporate buyers that do not want to be associated with deforestation or engage in foreign policy. This is where the RSPO has its place as a business-to-business model that offers corporate buyers a choice to either support a certified palm oil that reflects their global consumer base or an extreme no-deforestation version in RSPO NEXT. The current arguments involving Golden Veroleum’s palm oil operations in Liberia is a perfect example of the RSPO bringing a sense of sustainability to a developing country. What other industry in Liberia offers the capacity to create thousands of legal jobs and yet offers dissenters a platform to address their concerns? Developing countries that remain forest rich but economically poor would do well to learn from Malaysia and Indonesia on developing their own palm oil industries sustainably so that any past errors in judgement can be avoided. Both countries include a strong presence of the RSPO in addition to their own national schemes which means the certification demands of any corporate or governmental buyers can be met, as long as there is agreement that sustainability is a global issue and not a measure that is restricted to well off consumers in developed countries.